Many things go into preparing your self-storage unit. From the paperwork involved to setting up payment and eventually packing and filling your storage unit, it can be easy to let things fall through the cracks. One thing that is often forgotten is the lock that will keep your storage unit secure. While it might seem like any lock would suffice for your storage unit, there are certain locks that are better built for a self-storage unit than others. In today’s blog post, Affordable Family Storage Jefferson City will take a look at some of the best and worst locks for your storage unit. If you are looking for a time-tested classic, the Stanley Padlock is your answer. Padlocks are far and away the most common locks used for self-storage units, and the Stanley Padlock is among the strongest and most versatile. You can feel the strength of the hardened steel from the moment that you take this lock out of the package. If you are looking for the best security without having to spend a lot of money or use a complicated lock, the Stanley Padlock is the lock for your security unit. Let’s start by establishing that the American Lock A700D is not a bad lock. It just isn’t a good lock for your storage unit. While it is cheaper than many of the other locks you might find, it is less secure, due to its smaller stature and a five-pin core as opposed to the typical six-pin core. This is a good lock that serves many functions. However, if you are looking for a lock that will keep your self-storage unit secure, you’ll want to look elsewhere. 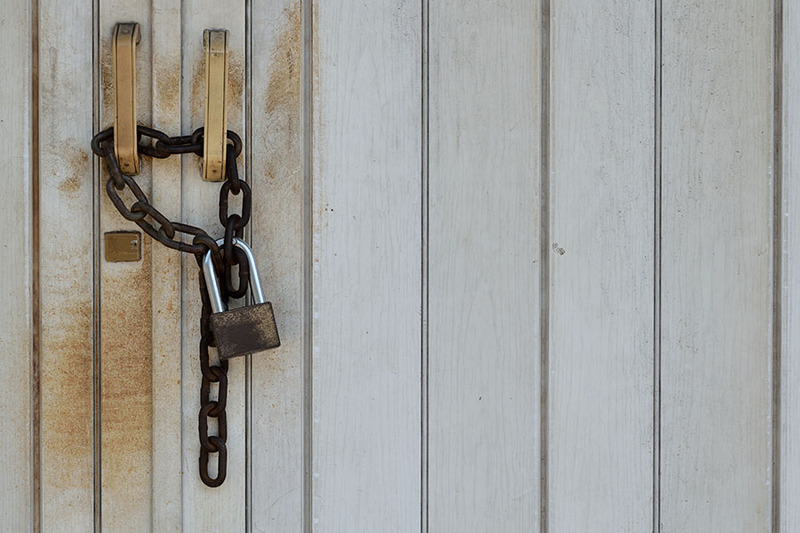 As noted before, padlocks are far and away the most common locks for storage units. The question is less about whether you will use a padlock and more about which padlock you will use. The Abloy PL 342T is among the most secure padlocks on the market while also being cheaper than some of its competitors. The shackle is thick enough to offer maximum security while also being small enough to fit into smaller spaces. If you are looking for a combination of flexibility and security, this is the lock for you. Similar to the American Lock A700D, we should begin by establishing that this hockey puck lock is not a bad lock. In fact, it’s a very good lock. Its design, i.e. the “hockey puck,” hides the shackle, making it harder to break into. However, it isn’t great for most self-storage units because the size and shape of the lock doesn’t fit on many self-storage units. You will need locks for your self-storage unit, but first, you will need the storage unit. For more information on the units provides by AFS Jefferson City, give us a call at (573) 240-8668 or contact us online today.